U.S. Sen. Cory Booker just visited 24 -- count 'em, 24 -- states stumping for Democrats in the midterm elections. And along the way, New Jersey's dynamic Democrat stopped in all those early presidential primary states, plus a few that look to be big battlegrounds. A dry run for a potential 2020 bid? Even Booker wouldn't quarrel with that. 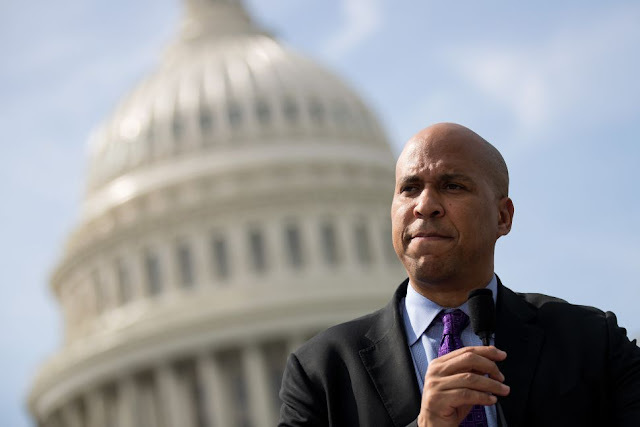 "I will consider running for president," Booker told NJ Advance Media. "That's something that I will do. There's people in New Jersey who are talking to me about it, across the country that are talking to me about it, so I will consider that." Booker said he spent the year focused on the midterms, which saw the Democrats win back the House, including capturing four of New Jersey's five Republican-held congressional districts. Next on his agenda is trying to push legislation across the finish line during the lame-duck congressional session, including a bill to overhaul the criminal justice system that has President Donald Trump's support. Then, he told NJ Advance Media, he will look at 2020, where he already has banked $4.1 million for his Senate re-election campaign. He figures that will come in earnest during the December holiday season.